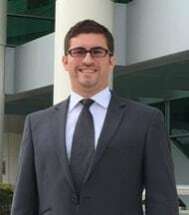 Carlos M. Funes, Esq. graduated from University of Florida, Levin College of Law in May of 2014. Prior to attending law school, Mr. Funes spent time working for a law firm in Los Angeles, California that represented low income families fight unlawful eviction. This experience harbored in Mr. Funes a desire to aid those less fortunate and those dealing with a difficult time in their lives. He learned to work diligently toward attaining justice and equity for his clients. After passing the Florida Bar Exam, Mr. Funes began working in the field of Family Law where he discovered that his drive to attain just and equitable results fit perfectly with the field. Mr. Funes still strives to obtain fair results for his clients while attempting to maintain civility between the parties during a difficult phase of their lives. Mr. Funes believes that compromise and negotiation are the best approaches for making the difficult process of divorce run more smoothly. However he has and will continue to litigate when necessary to protect the rights and interests of his clients.